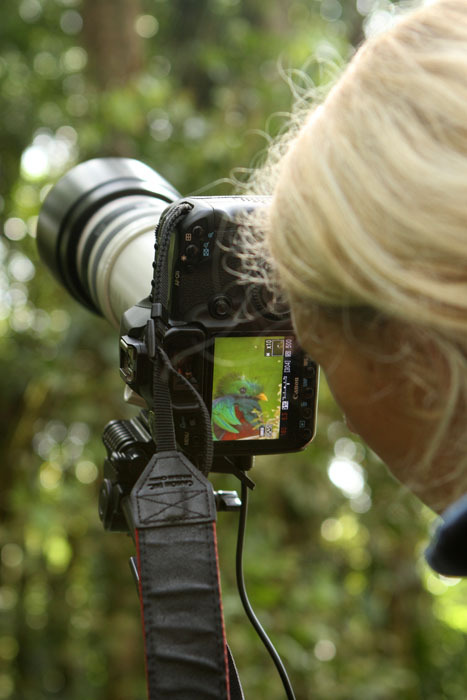 Nature photography often requires patience; some shots must be well prepared, locations scouted and hides build up. On other occasions however, photographers just get lucky and happen to have their camera ready at the right time. So the process of getting an image can be time-consuming and strenuous, but also coincidental and funny. 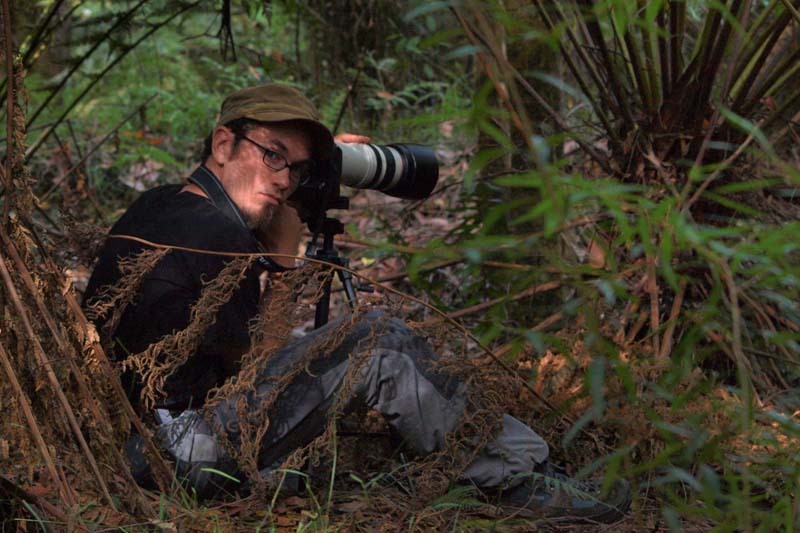 However, people buying prints or watching the pictures are usually completely unaware of how the images are taken and what happened behind the lens. 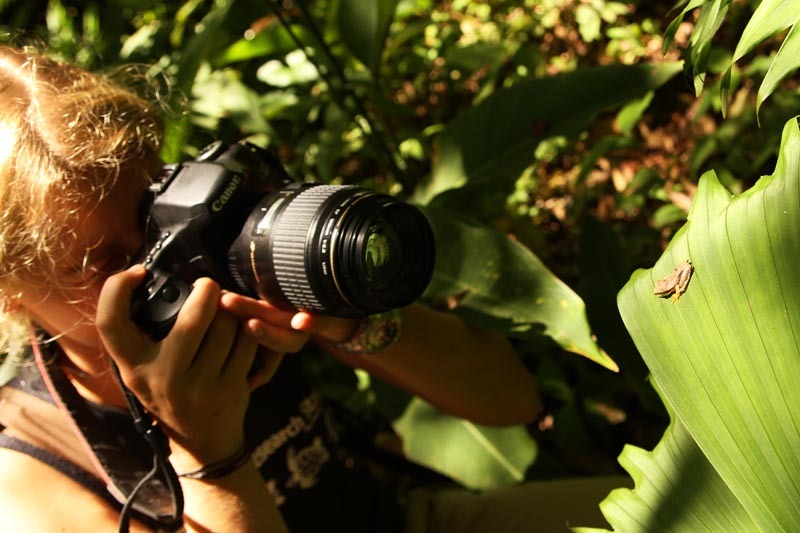 Therefore this article is not about technical tips or travel advice but depicts the circumstances and surroundings under which our images emerge. 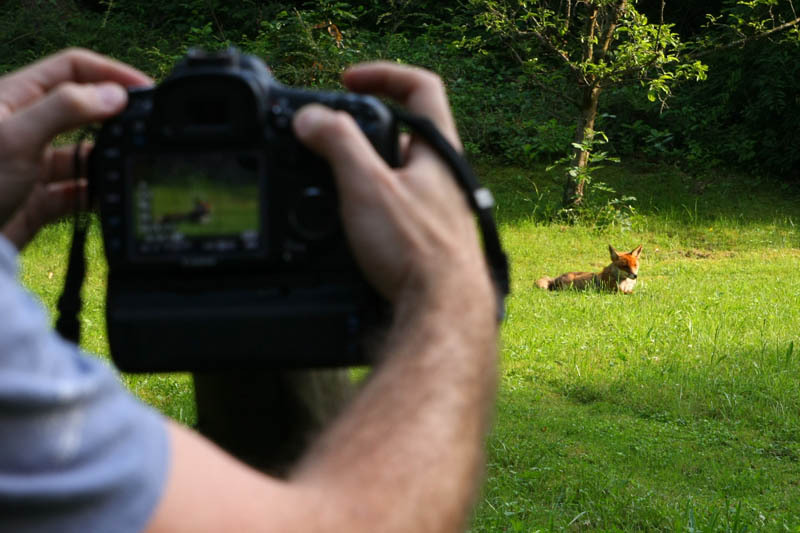 A young Red Fox sunbathing in our backyard. A fencepost made a good makeshift monopod. 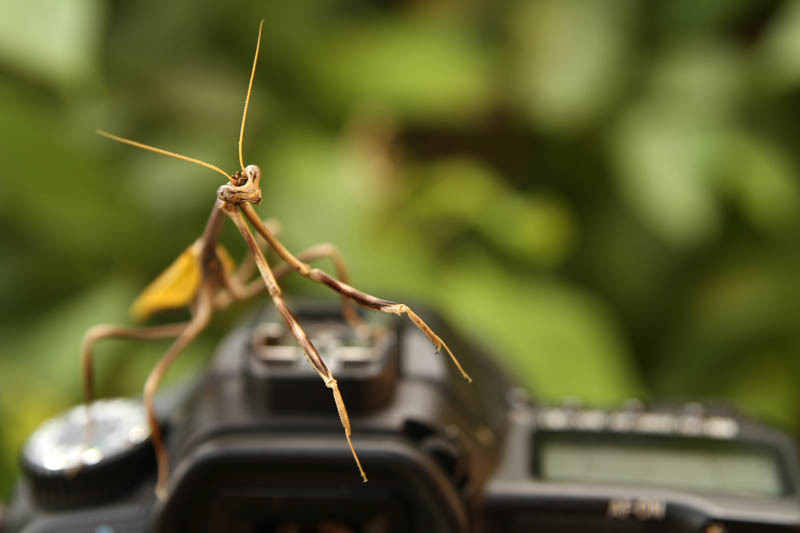 This tropical mantis showed repeated interest in camera and photographer. This young frog was posing cooperatively. 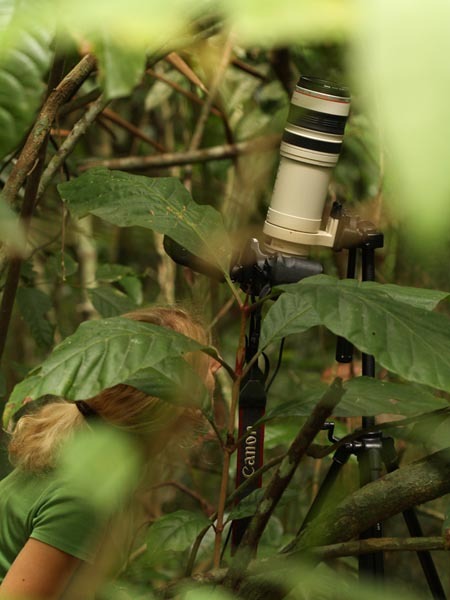 Taking pictures of a courting bowerbird requires a lot of patience. 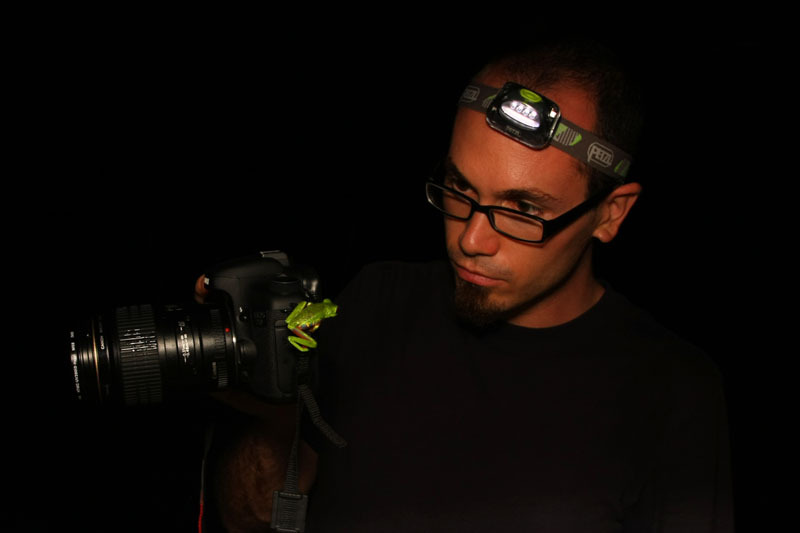 If this Red-Eyed treefrog suddenly disappeared from the viewfinder, it was usually because the frog jumped on the camera or on the photographer's forehead. The small toad Rhinella margaritifera can easily be overlooked amidst the leaf-litter. 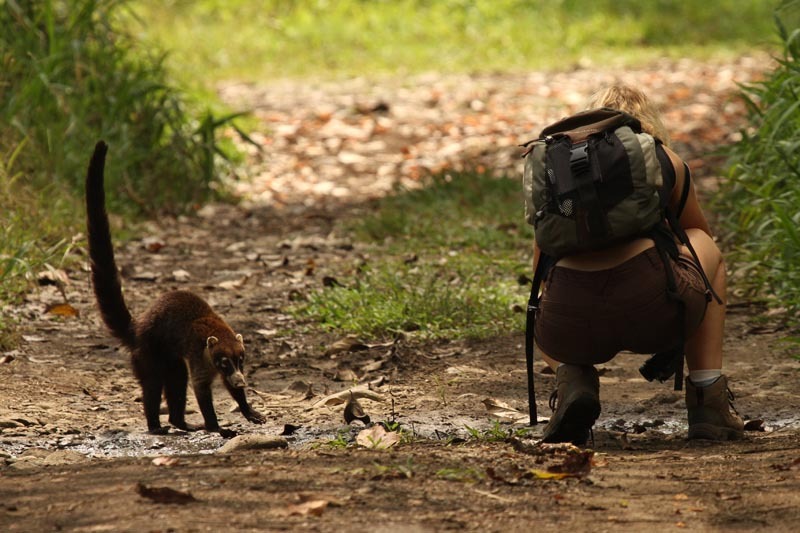 This white-nosed Coati was busy looking for food on the muddy soil when it suddenly became aware of the photographer right behind it. Paraponera ants are impressive by size and fearsome by sting. 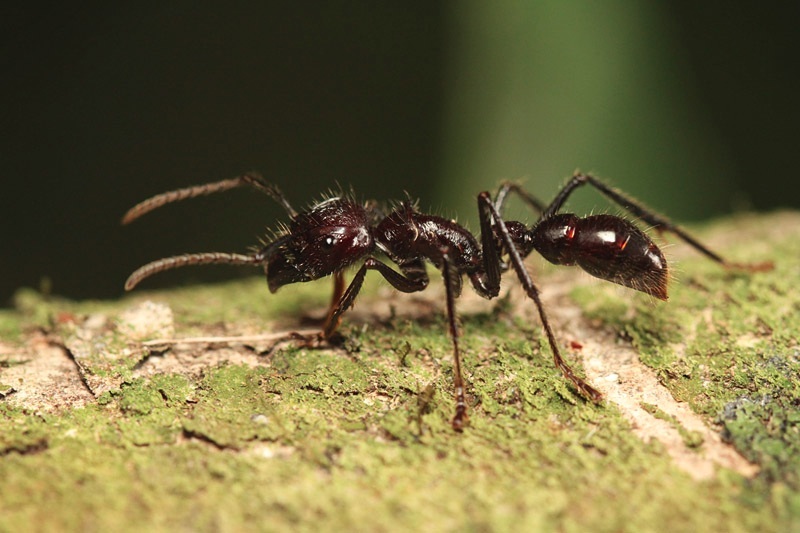 The pain caused by their venom apparently equals the pain of a gunshot wound, leading to their common name, "bullet ant". Tent-making bats like these Ectophylla alba must first be found and then approached very cautiously so as not to scare the resting bats away. 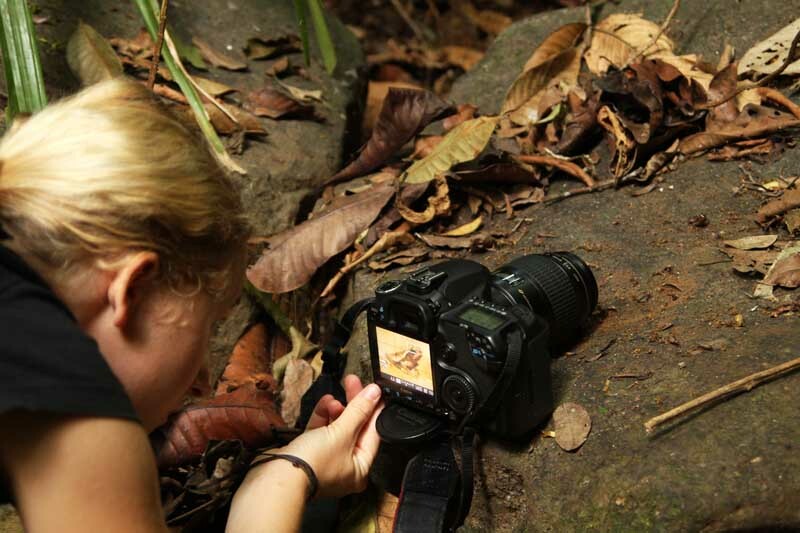 Finding the right position and angle for a shot can be quite challenging in thick tropical undergrowth. 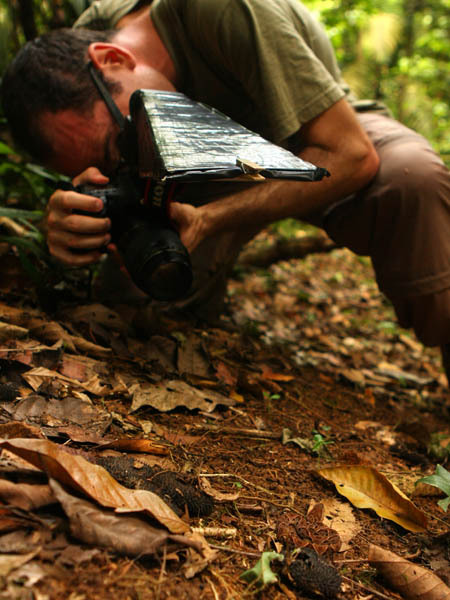 The Terciopelo (Bothrops asper, in the lower right corner) is a well camouflaged sit-and-wait predator. Being aware of its own venomousness, the viper is not timid and can be approached easily - although one should keep out of its striking-distance. 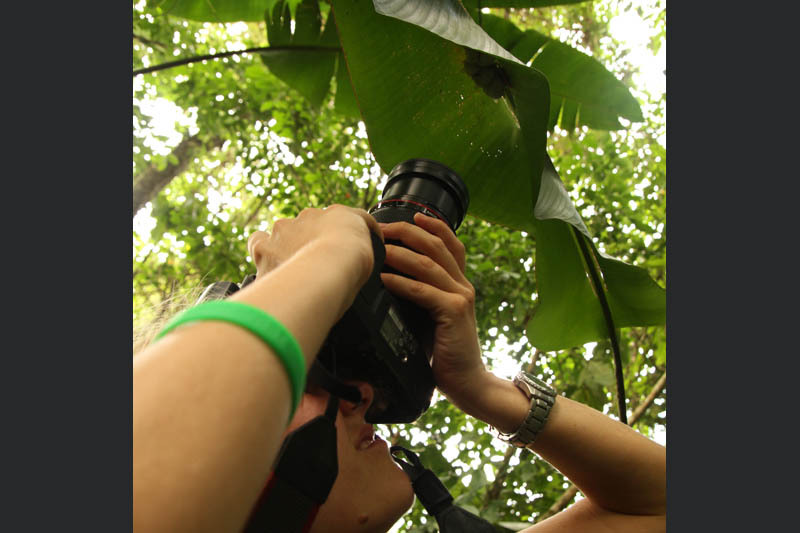 After weeks of semi-successful searching for the Resplendent Quetzal in Costa Rica, we moved on to the Highlands of Panamá were we suddenly found our campsite surrounded by half a dozen of these magnificent birds. 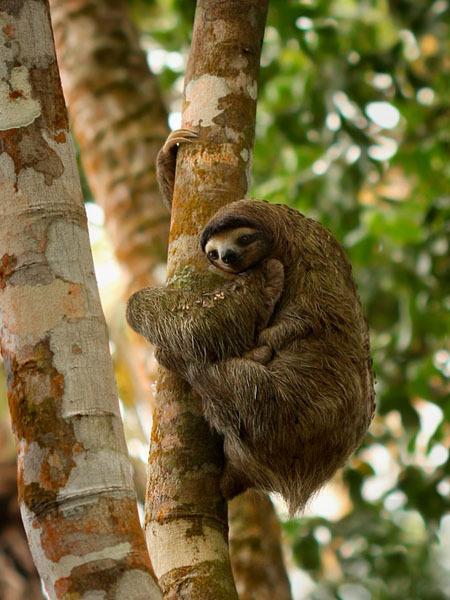 Sloths rest in trees where they can be photographed easily. 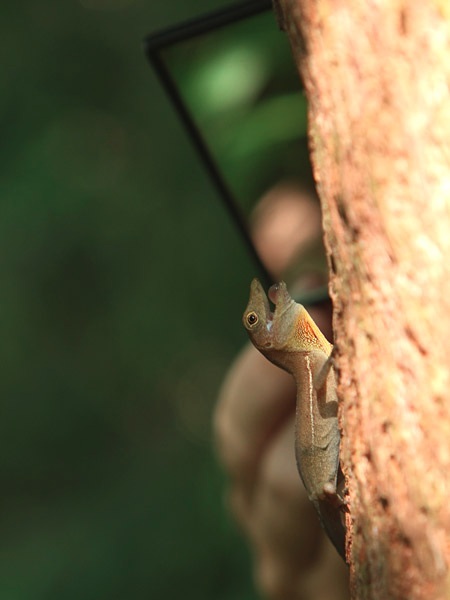 Male Anolis lizards respond readily on their mirror image and aggressively defend their territory. However, one should not overdo the challenging if the lizard is that dedicated.